As eastern Libyan forces continued their advance on the capital Tripoli Sunday, the World Health Organization warned that fighting there has killed 121 people and wounded 561 since military commander Khalifa Haftar's offensive began 10 days ago. The WHO condemned attacks on aid workers and said it would be sending in more staff and medical supplies, while the UN earlier appealed for the evacuation of more than 1,500 migrants and refugees caught in the crossfire. The UN's office for humanitarian affairs (OCHA) warned that more than 13,500 people had been displaced by the violence. "Three medical personnel have been killed and five ambulances have been incapacitated by shrapnel," OCHA said in a statement Saturday. Haftar's forces have claimed “advances” in the battle to wrest Tripoli from the UN-backed Government of National Accord, but reports say neither side appears to have taken a lead in the ground offensive. The leader of the UN-backed government, Fayez al-Sarraj, accused Haftar's forces of human rights violations, indiscriminately bombarding civilian areas in Tripoli, and recruiting children to fight. Aguila Saleh, speaker of the Tobruk-based House of Representatives allied to Haftar, said Libya needed to “get rid of militias and terrorist groups." Speaking to lawmakers in the main eastern city of Benghazi, Saleh said: "We assure the residents of Tripoli that the campaign to liberate Tripoli will be limited and not violate any freedoms but restore security and fight terrorism." Egypt's President Abdel-Fattah el-Sissi met with Haftar in Cairo on Sunday, but no further details were given. 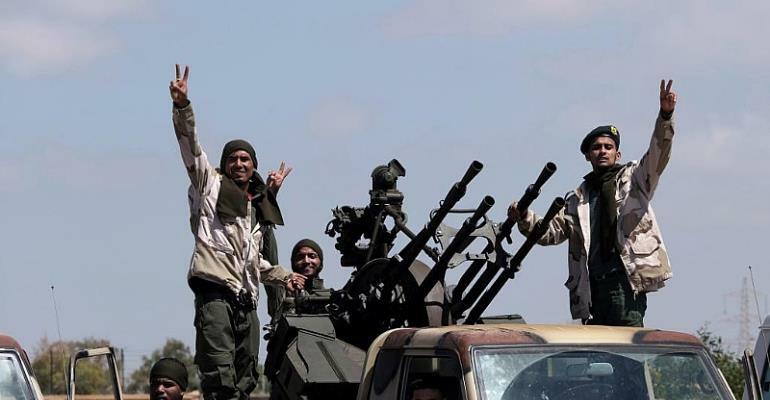 Haftar's forces extended their control beyond their eastern stronghold earlier this year, taking the country's south-western Fezzan region, before launching a long-anticipated push for Tripoli.